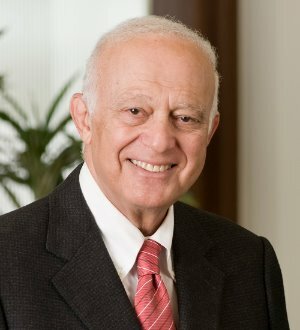 Mr. Andeel has an extensive legal career in primarily three practice areas: (1) federal and state taxation, (2) health care law and (3) estate planning. These subjects include joint ventures, business formations and divestitures, corporations, partnerships, limited liability companies, hospital matters, physician representation, estate planning, probate, trusts and estates, individual business counseling, and large corporation legal counseling. He represents clients ranging from individuals with general legal needs to large corporations with complex, multi-faceted legal issues. With more than 30 years of legal experience in Kansas, Mr. Andeel has substantial experience handling a wide-range of complex business, tax and health issues. He authored the original limited liability company legislation in Kansas in 1990. Mr. Andeel enjoys Martindale-Hubbell Law Directory’s highest "AV" rating for lawyers and is listed in Missouri & Kansas Super Lawyers®, Guide to The Leading U.S. Healthcare Lawyers, and the The Best Lawyers in America®. Mr. Andeel is one of only 24 preeminent lawyers in Kansas who have been listed in The Best Lawyers in America® since its first publication over 25 years ago. The Best Lawyers in America® named him Wichita Corporate Lawyer of the Year in 2011 and Wichita Health Care Law Lawyer of the Year in 2012. Mr. Andeel is a Fellow of the American College of Tax Counsel and has chaired the American Bar Association Tax Section Committee on Personal Service Organizations. His peer memberships include the National Health Lawyers Association and the Wichita Estate Planning Council.